Members wanting to eliminate the fluctuations of their monthly electric bills are encouraged to sign up for EnerStar’s Budget Billing program! Accounts with at least 12 months of consumption history and with account balances paid in full are eligible. The time of day that our members use power changes how much that power costs our electric cooperative. It’s the law of supply and demand: When everybody’s using electricity, it costs more and puts a bigger strain on the electric system. You probably haven’t thought much about the work of a lineman. But before you ever flip a switch to turn on the lights, the EnerStar linemen have already set poles, connected miles of wire and flipped more than a few switches of their own. It’s challenging work, but also important work. That in itself is very rewarding. EnerStar does its best to keep the power on 24 hours a day, 7 days a week, and 365 days a year. Yet despite our best efforts, outages do occur. For most members, this is an inconvenience, but for those who depend on electricity to power life support equipment, an outage can present a real challenge. To protect yourself, be prepared by installing a generator or having some other form of backup plan. Sometimes, you may hear that EnerStar will be having a “planned outage.” Ever wondered why? Occasionally, the equipment we use to bring power to your home needs to be repaired or replaced. When this happens, as a way to keep our crews and you safe, we plan a power interruption. “We do our best to plan these outages during times when you will be least inconvenienced,” said EnerStar’s CEO Mike Clark. The annual meeting of members is just around the corner, and the January 23, 2018 deadline to submit petitions is fast approaching. 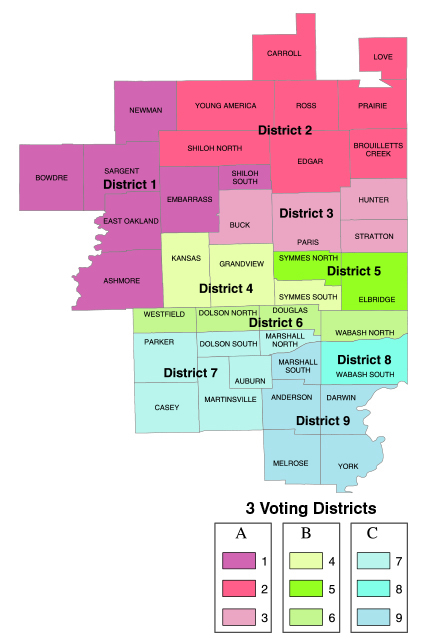 If you are interested in running for election to the EnerStar Board of Directors, pick up your petition now! 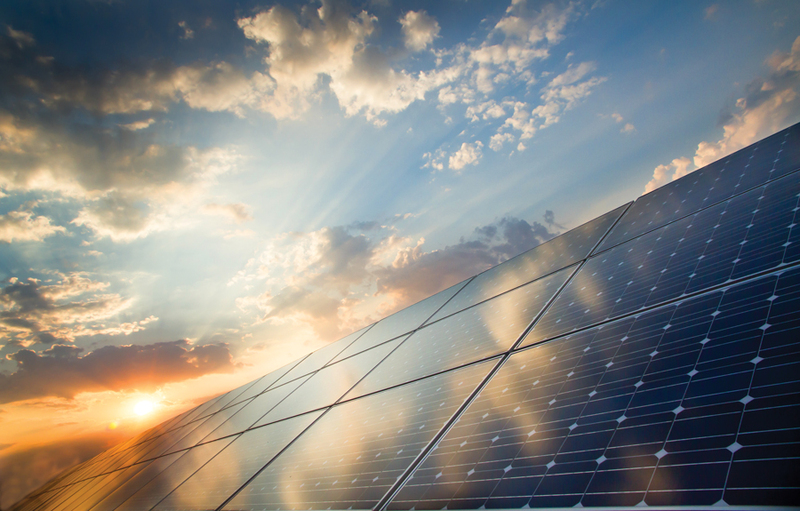 Although electricity distributed by EnerStar Electric Cooperative includes renewable energy, some members are interested in taking the next step in utilizing renewables to power their home. 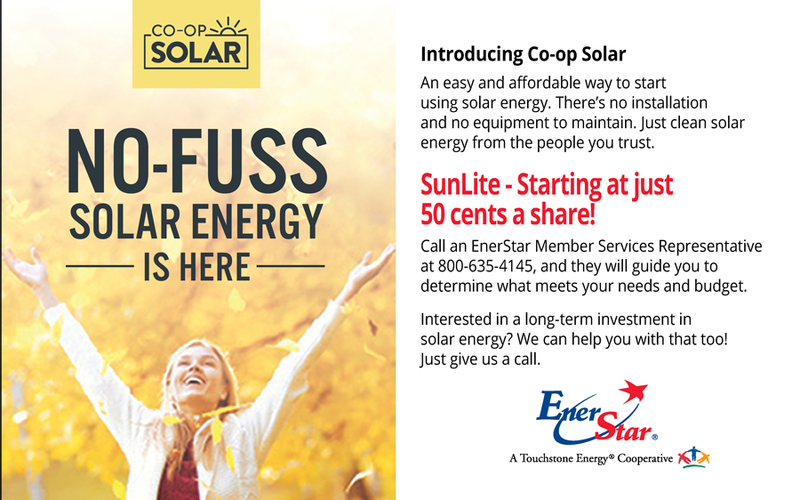 If so, Co-op Solar is here to help you accomplish your goals. 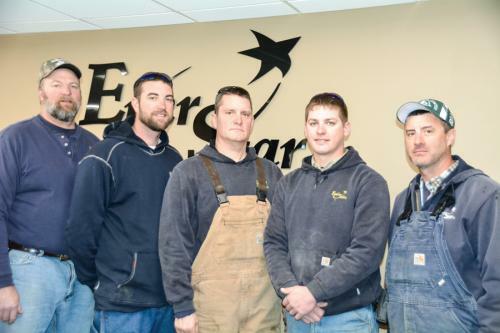 EnerStar’s 79th Annual Meeting is just around the corner and cooperative members have the opportunity to run in the ­upcoming board of directors election. Members who are eligible candidates and can commit the time and energy to the member-owned ­corporation may want to consider this opportunity. The role of director is a huge commitment – of time, energy and education – more than most members realize. Thankfully, there are members who are willing to serve in this important capacity. Decisions made can affect the membership into the next generation. Linemen from EnerStar Electric Cooperative participated in the 20th Lineman’s Safety Rodeo sponsored by the Association of Illinois Electric Cooperatives (AIEC) on Friday, Oct. 20. This year, 13 teams participated in the competition. The rodeo gives linemen the opportunity to showcase their special skill sets that keep the lights on but in a way that makes sure they also return home safely after a long night of work.